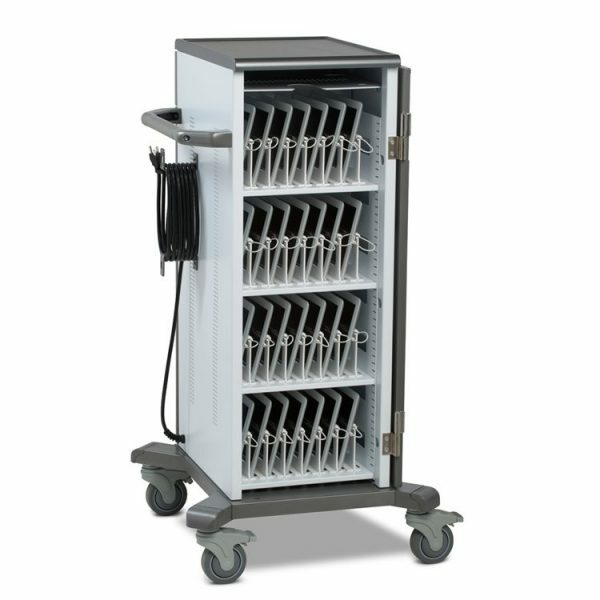 The Wizard MultiMedia Lectern is equipped with a VGA easy connect console. The console connects to an LCD projector allowing the projector be placed and stored on the lockable sliding shelf built into the unit. The VGA pass through plate allows a prestnter to easily connect a laptop or document camera in a flash. 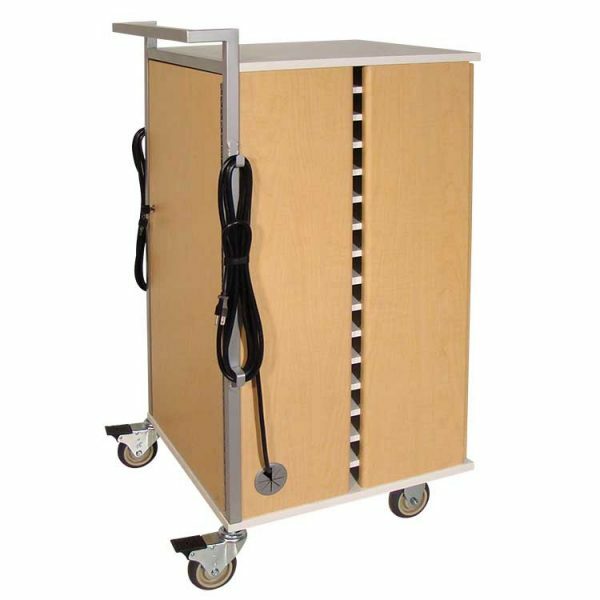 The secure cabinet and sliding shelf are designed to support all leading brand document camera and LCD projectors. 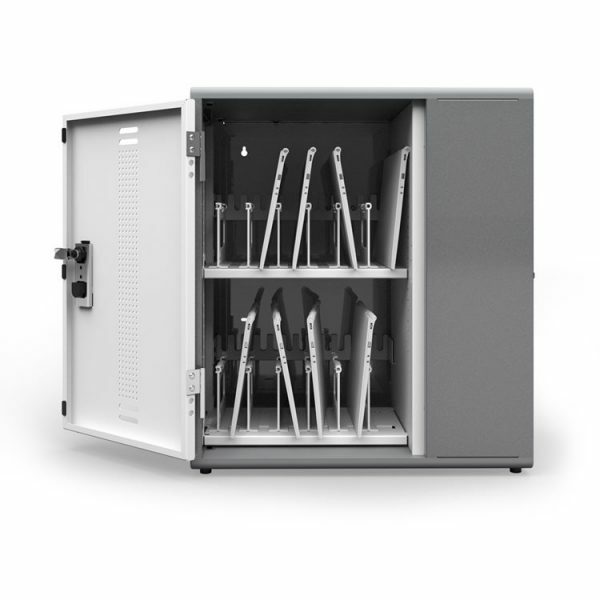 The storage drawer secures all extra cables, pointers and materials safe and accessible. 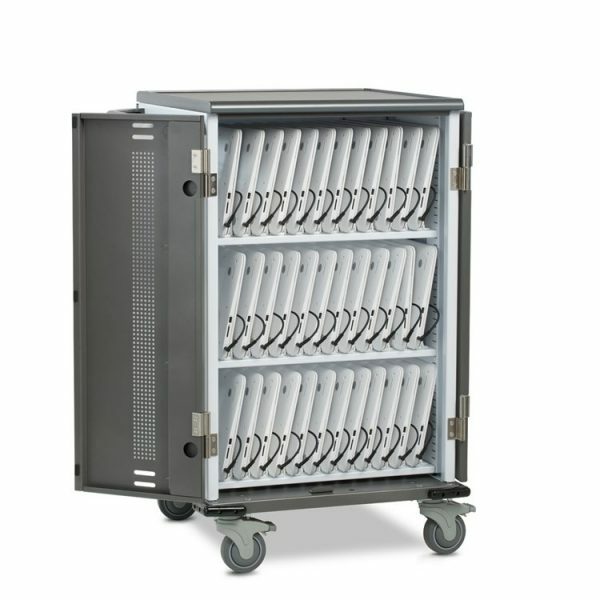 Additionally, the Wizard is outfitted with a 16″L x 14″w flip up side shelf which provides the option of having your laptop and document camera available to use simultaneously. 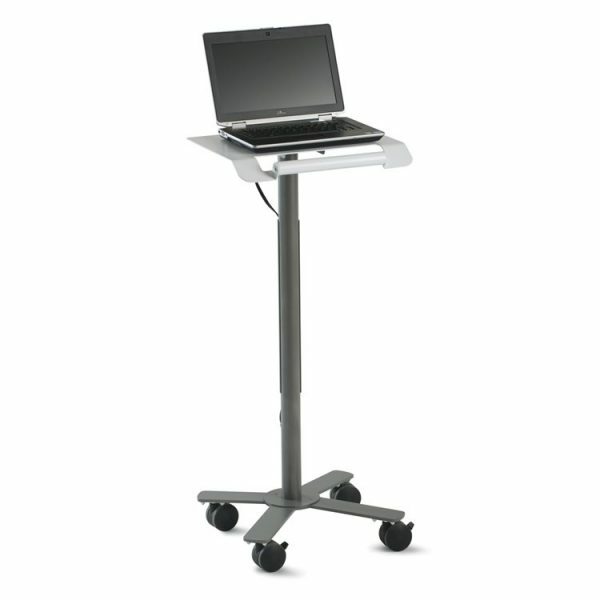 The 18″ x 21″w top surface has an integrated pop-up lectern aiding note reading during a presentation. 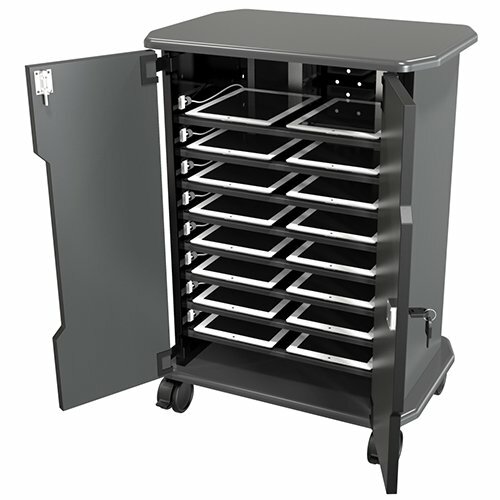 The 25′ cord with winder and 6 outlet power strip are mounted within the Wizard for easy wire management. Minor assembly needed (for shipping integrity). Responsible Manufacturing: Committed to the use of pre and post consumer waste, while preserving the high quality furniture standards. 100% of wood used comes from non-boreal forests. Wood factory products are ISO certified for Environmental Management ISO1400:2004. In 2008 a lighting retrofit of over 800 fixtures resulted in 135,585 kWh annually – equivalent to removing 20 cars from the road, 84 tons of green house gas (co2) and saving 198 barrels of oil annually.